The Judgeship of Jagatsinghpur was separated from the mother Judgeship of Cuttack and started functioning separately from 17.05.2013. 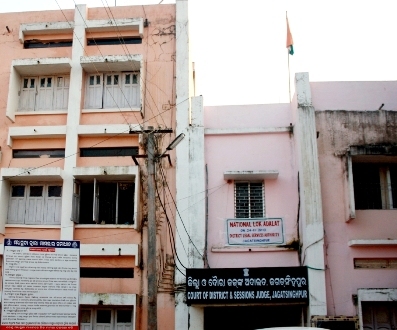 It was inaugurated by the Hon’ble Justice Shri B.K.Mishra Orissa High Court Cuttack in presence of Hon’ble Shri Satrughana Pujahari, the then District Judge, Cuttack and Hon’ble Shri Gopal Chandra Behera, the 1st District Judge, Jagatsinghpur. MERIT LIST OF THE CANDIDATES FOR THE POST OF JUNIOR CLERK OF DLSA JAGATSINGHPUR . NEWS LETTER FOR THE MONTH OF DECEMBER 2016. NEWS LETTER FOR THE MONTH OF NOVEMBER 2016.